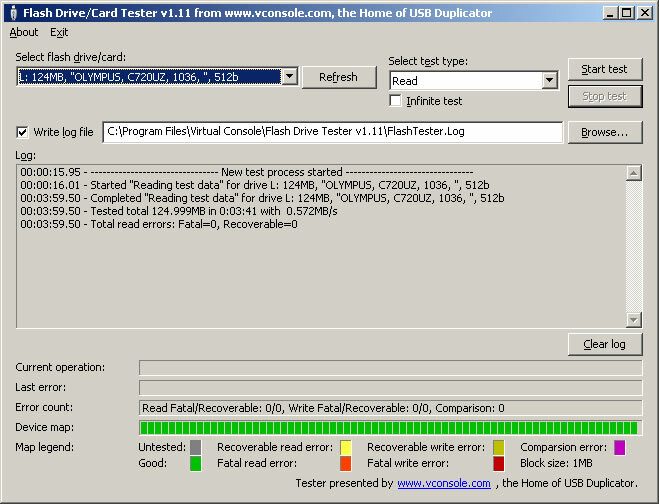 Scan your corrupted usb flash drive now .You can testing your removable devices such as memory card ,mmc,cf and usb flash disk .Download free software now and test your usb flash drive sectors. 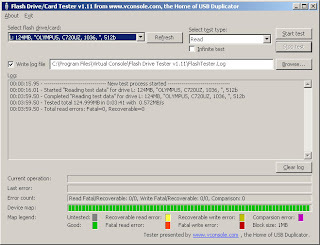 Today we will explain another free software to test and repair corrupted usb flash drive sectors.Usb flash drive tester software allows to you to test any removable disk such as memory card , mmc,cf and usb flash drive .This program can perform speed scan for bad sectors in your removable disk.Another advantage of this software is you can determine fake sizes of usb flash drive .The different benefit in usb flash drive tester software is supporting windows vista . 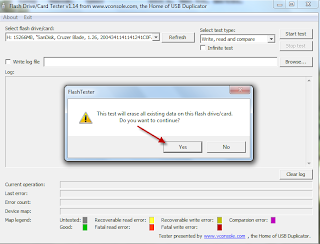 How to use USB flash drive tester software ? 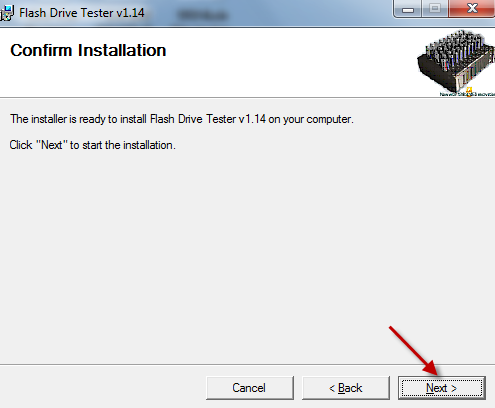 OK , first we will download the software in the bottom of the article then we explain how to use it .Just follow steps illustrated in next pictures . 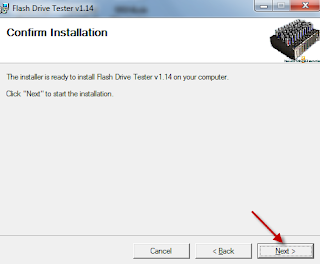 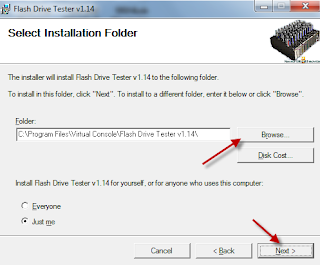 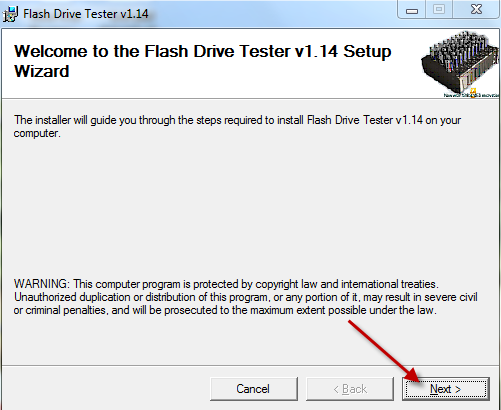 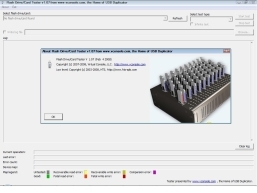 After Downloading USB flash drive tester software ,open it and follow this installation guide . 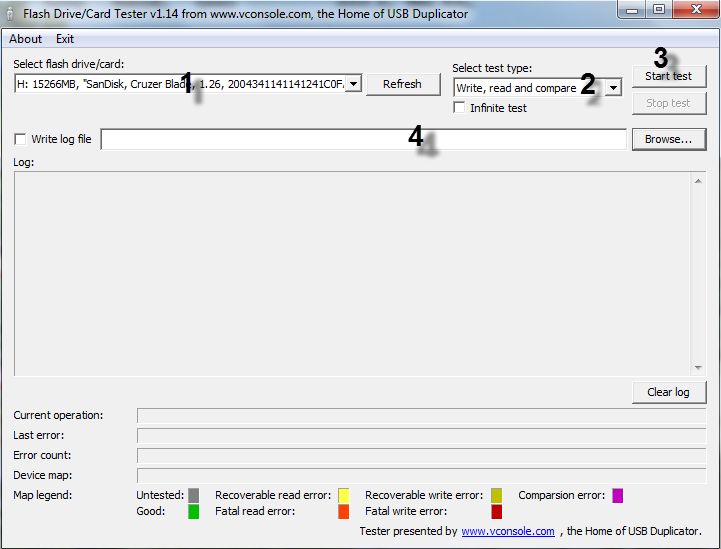 After installing USB flash drive tester software , now we will explain how to test your usb flash drive or memory card . 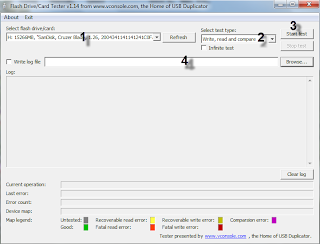 Caution : please you must make backup to your usb flash drive files because testing process will format your usb flash drive and you will lost all usb flash drive files . 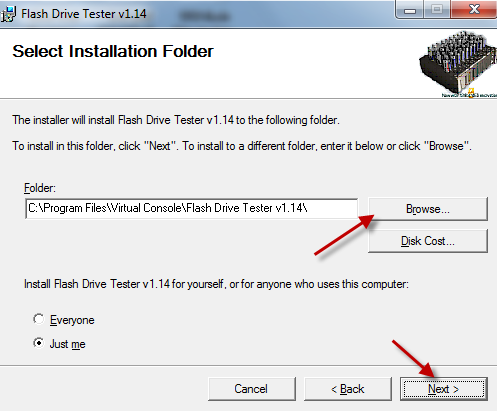 1- Press refresh and choose your usb flash drive . 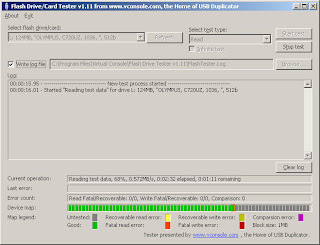 2- Select test type . 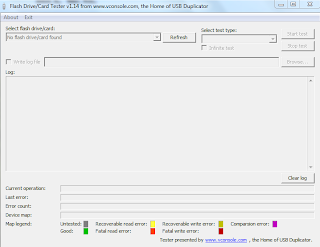 4- If you want to choose log file folder to see the final result after scanning your usb flash drive. 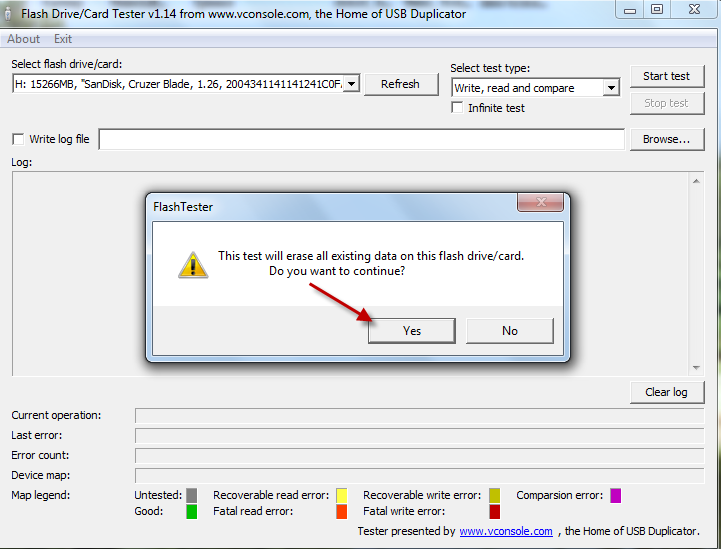 Caution : This test will erase all exiting data on this flash drive / card . 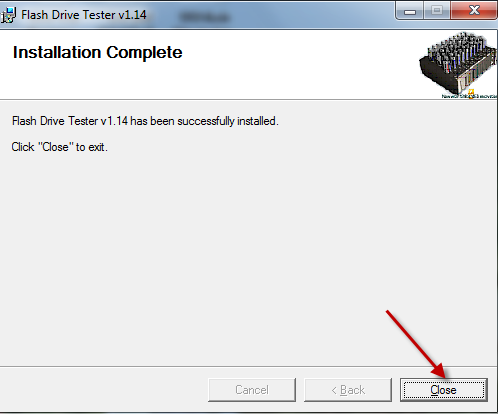 Do you want to continue .Press yes and begin testing process . 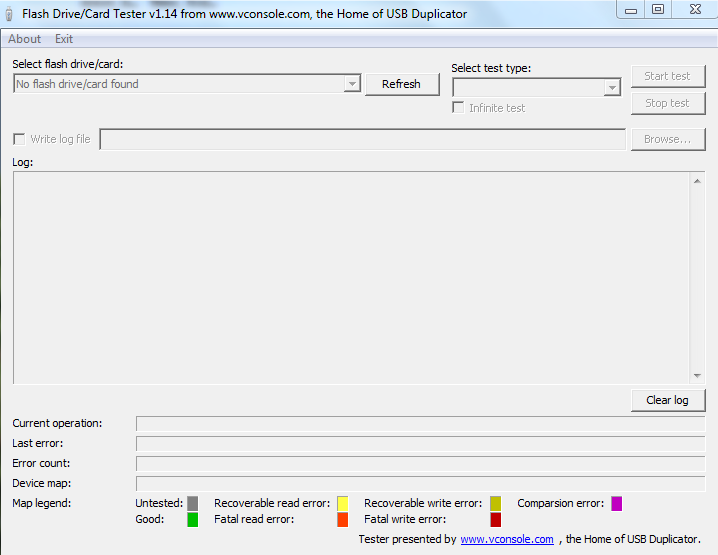 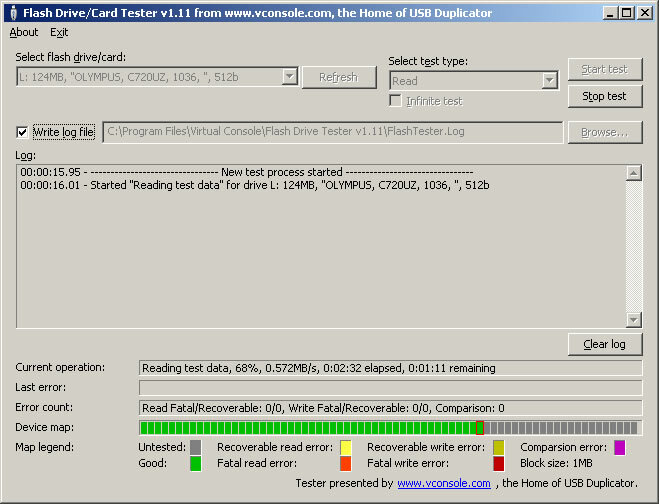 Now USB flash drive tester software scanning your usb flash drive , please wait until finishing the test.